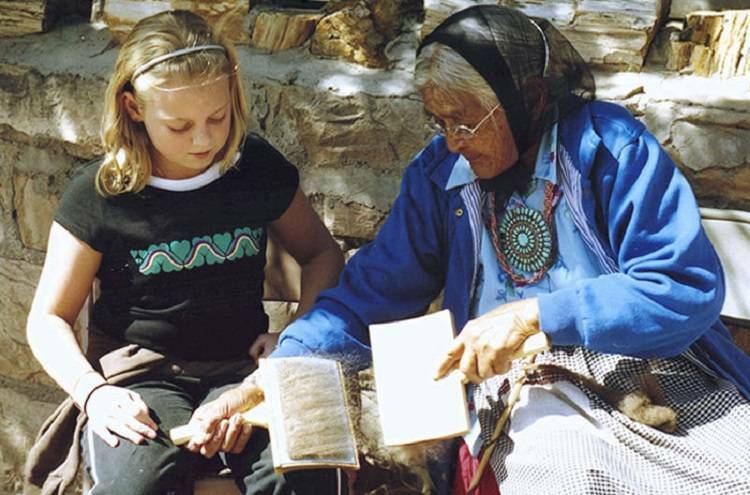 We invite you to visit the Toadlena Trading Post to experience the story of the Navajo weaver and the unique opportunity to acquire a textile of timeless beauty, acknowledged excellence and lasting value. 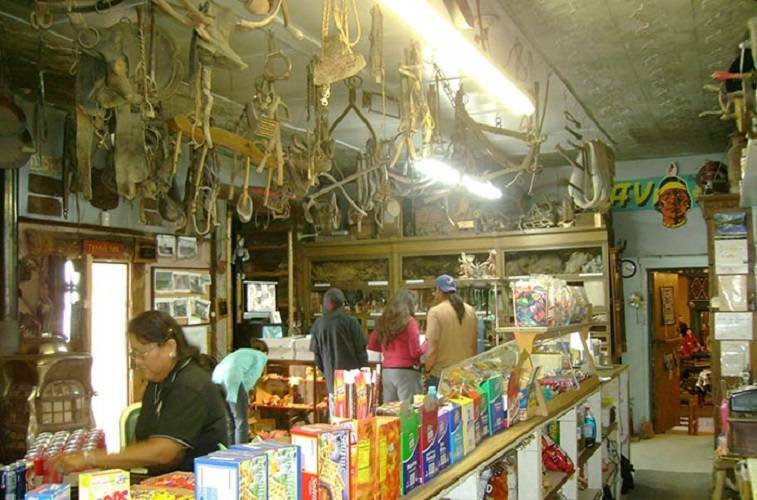 Toadlena Trading Post operates in the same way trading posts have since the 1870s, directly with the weaver and her family. This post serves the needs of the local families by providing goods like groceries and propane as well as banking and mail services. It caters to tourists who purchase rugs, tapestries, silver jewelry and other local handicrafts. The Toadlena Weaving Museum features the Dances With Wool figurative weaving exhibit. This exhibit displays some of the finest Navajo Sandpainting textiles ever created and celebrates the re-establishment of the post by Mark and Lerin Winter as the center for contemporary Navajo weaving on the Navajo reservation. The sheer number of excellent works and evocative nature of the images invites you to tour the land of the Corn People, Mother Earth and Father Sky, the Navajo Twins, Kokopelli and other mythological entities. One of the more renowned weavers featured in the exhibit is the late Navajo medicine man, Hastiin Klah. Klah is highly regarded by historians for being considered the first to utilize images from Navajo sandpaintings in his textiles. Toadlena Trading Post is open Mondays through Saturdays 9:00 a,m, to 6:00 p.m. and Sundays 12:00 p.m. to to 5:00 p.m. during the summer months and closed on Saundays in the winter. Toadlena is located off Highway 491, south of Shiprock. Turn west from Highway 491 to Toadlena at the Shell Gas Station, and simple follow the signs.